Usually, being the best at something gives you bragging rights. Look at how long Joe Namath has been living off his one Super Bowl victory. But if you're the murder capital of the world? OK, well that's not really something to print on your résumé. But once again, that's San Pedro Sula, Honduras' claim to fame (or perhaps infamy?) in 2014, with the highest murder rate on Earth. 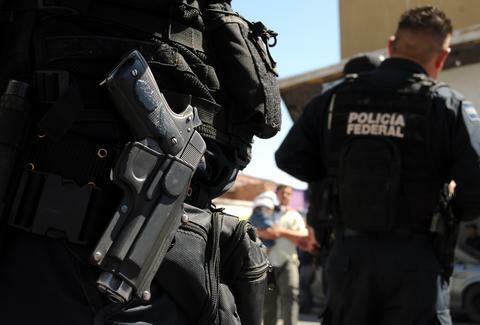 According to the annual report of the 50 most violent cities in the world by Mexico's Citizens' Council for Public Security and Criminal Justice, San Pedro Sula had a murder rate of 187 per 100,000 inhabitants in 2013, up from 169 per 100,000 the previous year. That keeps Honduras' second-largest city on top for the third year in a row -- a dynasty nobody really wants a part of. No US cities made the top 10, though a handful made the top 50: Detroit came in at no. 24; New Orleans at no. 26; Baltimore at no. 36; and St. Louis at no. 45. Unless you're trying to get kidnapped, shot, or murdered (and if you are, what's wrong with you? ), then you should avoid a lot of medium-sized cities in Latin America, because the region comprises the entire top 10. Cities in Honduras, Venezuela, Mexico, Colombia, Brazil, and Guatemala made up the 10 most violent -- though the study didn't include cities in war zones or without reliable homicide data. Check out the full report and the rest of the 50 most violent cities here. Ryan Craggs is Thrillist's Travel Editor. Despite murder rates, he'd still recommend traveling a lot in Latin America because it's awesome. Follow him @ryanrcraggs.